Gina Rios is a metal smith and sculptor living and working in Portland, OR. 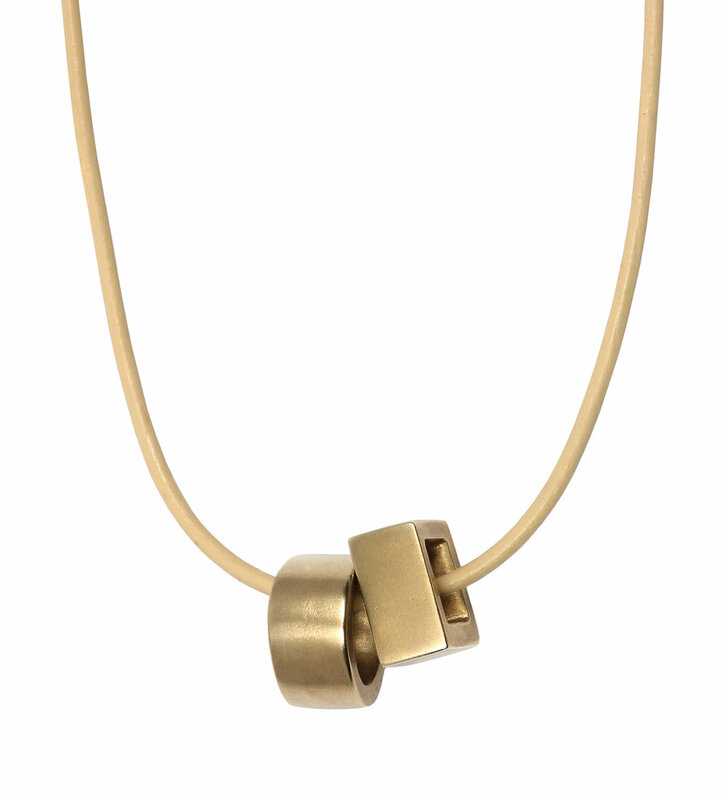 Her jewelry is characterized by bold form, subtle texture and simple elegance. She creates hand crafted sculptural objects that are comfortable and wearable. Each piece is etched, cut, formed, soldered, rolled, pressed, forged, and finished with attention to detail and quality. My sculpture deals with the beauty of the unseen, the gravity of a moment or a feeling and is fueled by observing connections that take place between people and the worlds they live in. Form, texture and material relay information, tone and affect. Attention to form, line and material is just as important in my jewelry as it is in my sculpture. I make jewelry because it is a form of small sculpture. It is a small piece of art that can be worn, shared, gifted, used to express one’s own sense of style and spark connections between the wearer and others. Wearing jewelry is a way to bring art into the everyday.